The Vision AGI Team will be in attendance at our permanent stand at this years National Self Build & Renovation Show. The show takes place on 26th – 28th January, 2018 at the National Self Build and Renovation Centre in Swindon and tickets are free. Read on for more reasons to attend! 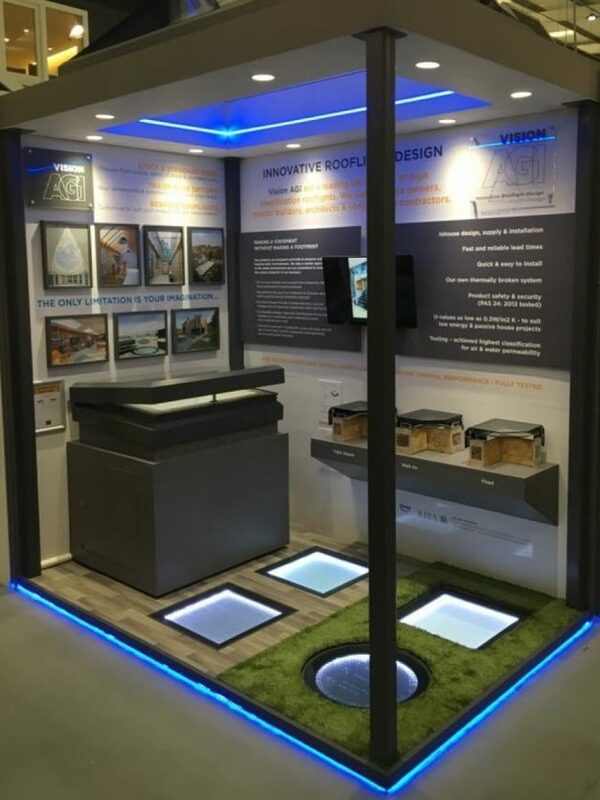 Our permanent stand at the nSBRC gives you the opportunity to take a close look at our range of rooflights and the various colour and glazing options available. During the show, our team will be on hand to offer expert advice and to answer any questions you may have regarding our rooflights. We can help steer you in the right direction for the perfect rooflights for your self build or home renovation project! Our Sales & Specification Manager, Charley Northwood will be giving a short, 4 minute ‘elevator pitch’ style presentation during the Soapbox Talks at this years show (date and time TBC!). This is the perfect introduction to Vision AGI and will serve as small taster for what you will find at our stand during the show. Make sure you attend! Featuring 67000 sq ft of exhibitors, products, ideas and demonstrations, The National Self Build & Renovation Centre is the only permanent, purpose built space of it’s type in Europe. There is so much to see at the show we highly recommend taking a visit if self building, home improvement or renovation is your passion.